Sleeveface photography involves capturing an image with an LP sleeve cover or any other image to blend reality in a 2D form. 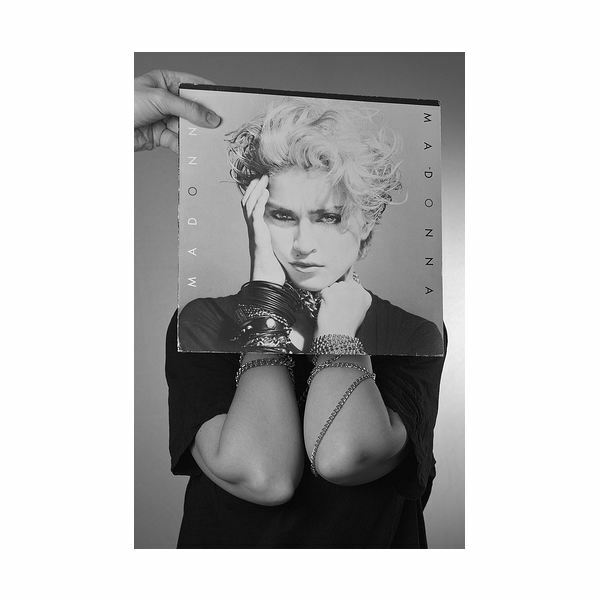 The official sleeveface website defines it as "one or more persons obscuring or augmenting any part of their body or bodies with record sleeve(s) causing an illusion." Definitions apart, from the images here you can see that sleeveface photography is definitely a very creative, interesting and fun type of photography. Now let’s look at how to sleeveface. To create a sleeveface image, place an LP cover image, magazine picture, or any other photo in front of your subject, take care that the subject and image are to scale and shoot with a digital camera. 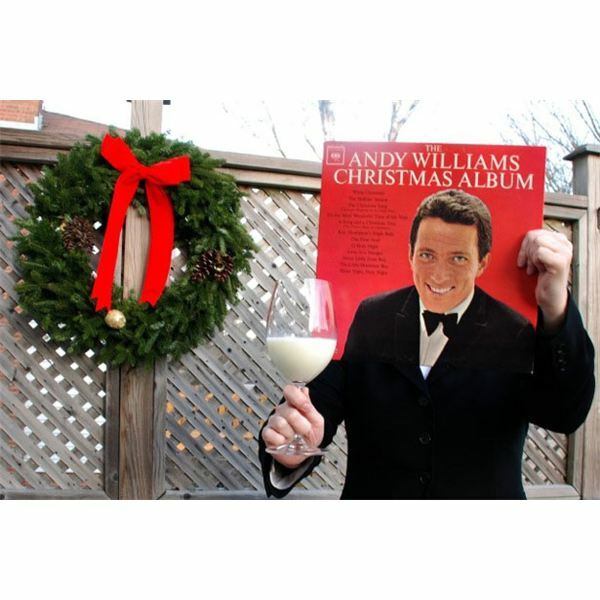 You’ve got your first sleeveface shot! This is more a trial and error method as aligning and capturing these images takes getting used to. 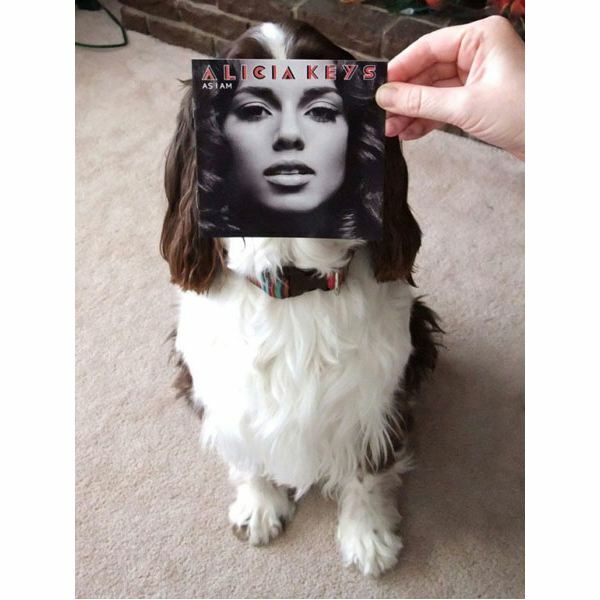 We have rounded up some handy tips to enhance your sleeveface photography in this article. Here is a handy video showing you how to sleeveface, if the above description isn’t sufficient. 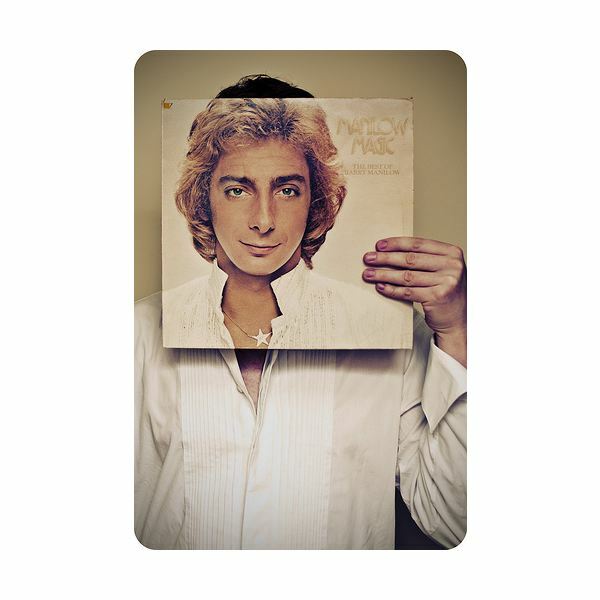 Sleeveface images depend heavily on the LP images used and therefore require some pre-planning. Shop around for LPs at local yard sales and the likes, choose LPs with distinct portraiture style images with preferably clear backgrounds. Remember the clear backgrounds can be easily replicated during your photography session for a compelling blend of sleeveface and reality! Psst! You know, though sleeveface started out with LP record covers you can pretty much experiment with anything, such as glossy magazines and other similar sized posters. Instead of just adding your body to a sleeveface, why not give the image some personality with some accessories? Got a guitar you can use? A coffee cup, analog dialing phone, or any kind of personal ornaments, bandanas, etc. 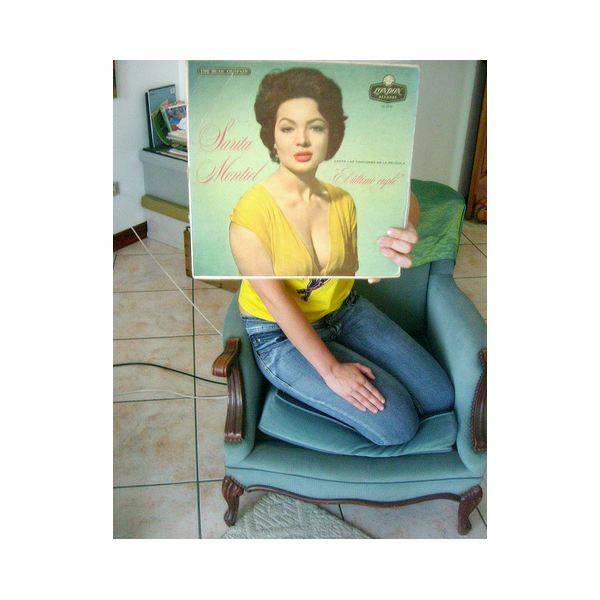 will add more fun to an otherwise ordinary sleeveface image. 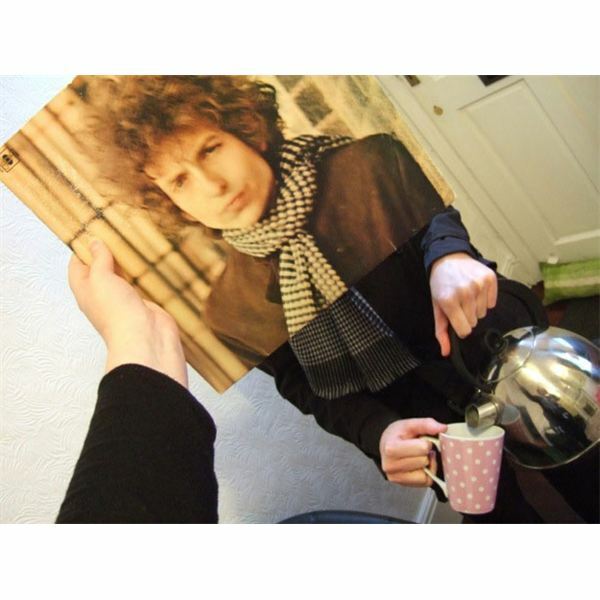 You can add any item as an accessory to a sleeveface photo as long as it keeps the image fun and interesting! The backgrounds in the sleeveface image bring the sense of time and place to the image and it’s imperative that they are matched in the sleeveface and the real photograph. 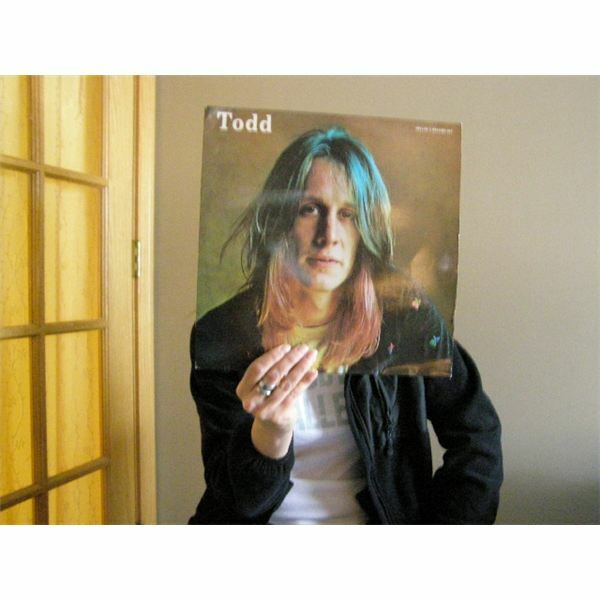 In the first tip about selecting LPs for sleeveface I suggested going for LP covers with simple backgrounds as they can be easily reproduced. In case you’re unable to get the backgrounds perfectly matched, get as close as possible in terms of the color shade. If that doesn’t help, you can always use a photo editing program to adjust the color. covers. When you add a sleeve face to a body, pay attention to the proportion of the face or torso that comes up on the sleeveface cover. If you are looking for a full torso sleeveface shot then you need to match or "mismatch" the costumes perfectly. Remember the dress factor in a full body sleeveface photo or an upper torso image is very important and can be used to express creativity. Depending on the kind of image that the sleeveface carries, one has to consider the distance of the image from the subject behind it. Say you have tight portrait of an artist on the cover, then you can just hold up the sleeveface image right next to your subject’s face and take an interesting image. If you come across LP covers that have an environmental portrait, wide angle with more of surrounding space or location then bring the sleeveface cover a bit away from the subject so that the illusion of the replaced head or body part is as realistic as possible.